2013 is the year of Chance The Rapper. After dropping his 10 Day mixtape and blowing up overnight with the well received Acid Rap earlier this year, the Chicago emcee is proof that an artist can go from a cult following to international exposure at the blink of an eye. But who knew that he'd end up working with one of the biggest acts in the music game? 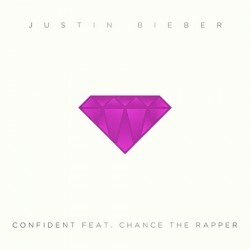 If you told a few me a few months ago that a Chance the Rapper and Justin Bieber collaboration was in the works, I would have thought you were crazy. On paper, it might not make any sense. Chance's free flowing, polarizing cadence doesn't gel with everyone, especially that of the once clean cut Canadian (we won't hold it against you Biebs; we blame Lil Twist for all that negative publicity) and his pop-turned-R&B experimentation. But over the Soundz produced instrumental, the two juxtaposing styles somehow work pretty well, showcasing Bieber's Chris Brown-esque bars as he spares no details in describing the physical features of a special someone amidst a barrage of hi hats and a funky guitar loop. If you think that's insane, wait for next week's #MusicMonday track, which will feature Chance, Big Sean, Lil Wayne, Diplo and R. Kelly doing their thing with the 19 year old pop sensation.